In this episode Jason first addresses a portion of last week’s episode with Christopher Maute. Secondly he addresses the Realistic Nihilist’s supposed Omnipotence Paradox and his claim that this renders the Christian view of God incoherent. 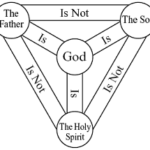 After that there is a discussion of the different Trinitarian Heresies and a defense of the orthodox Trinitarian view. 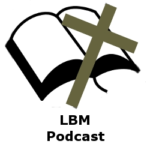 LBM Podcast 0024 – Are women to be elders in the Church? In this episode Jason goes over the discussion of women in positions of authority and teaching in the assembled people of God. Can a woman Biblically be a pastor? The scriptures on this topic are examined and Jason goes over multiple arguments he has encountered from those who claim women can be pastors. Is that great doctrine of the Trinity only found in the New Testament and the creeds of the early church? Let us take a moment to examine the Old Testament for shadows and hints to the multipersonal nature of the one being of the God in the Hebrew Scriptures. Interestingly enough beginning in the very first chapter of Genesis we start to see signs of this. If the first verse of the Bible it says “In the beginning, God created the heavens and the earth.” The word translated into English here as “God” is the Hebrew word “elohiym” (אֱלֹהִים). 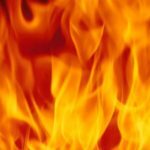 The word “elohiym” is the generic word in Hebrew for “god” and it is a masculine plural noun. It is used in Hebrew in much the same way as the word “god” is used in English. 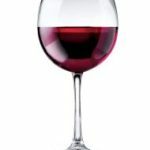 It can be used to represent the one and true “God” or it can also be used to refer to a false “god”. It’s usage is determined by it’s context in exactly the same way we use the word “god” in English. The thing that is interesting is the word “elohiym” here is the plural form of the masculine singuar noun “elowahh” (אֱלוֹהַּ). This is because the noun “elohiym” ends in the letters “Yod” and “Mem” (י and ם). The letters “Yod” and “Mem” ending a word make singular masculine nouns plural in the same way as “s” and “es” make singular nouns plural in English. The singular noun form of “”elowahh” is used in poetry and in later Hebrew (i.e. Deut 32:15,17) but most of the time the plural form “elohiym” is used when referring to “God”. This is interesting because the very first verse of the Bible already hints at a plurality. What is Calvinism? Calvinism is the term that has taken on the meaning that God is sovereign in salvation. Sometimes it is referred to as Reformed Theology, the Doctrines of Grace, Augustinianism, Wyclifism, Pauline Theology, etc. Throughout the history of the Christian Church one form or another of these doctrines have been taught. 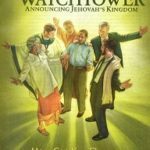 There have been slight nuances between the different perspectives but the primary tenets of the doctrines have been consistent. 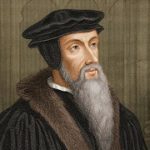 Calvinism is named after the Geneva, Switzerland Reformer John Calvin (1509-1564). This is unfortunate as those who have read Calvin know that were he alive today he would be appose to having these doctrines named after him. He was much too humble of a man to have accepted such an honor. Most of those that impugn the character of Calvin have not read any of what he has written.